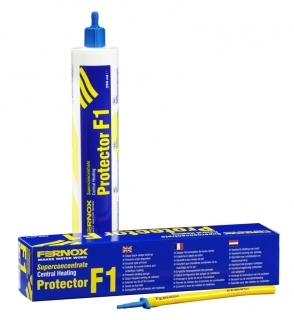 Fernox Superconcentrate Central Heating Protector F1 gives long term protection of domestic central heating systems against internal corrosion and limescale formation. It prevents corrosion of all metals found in these systems i.e. ferrous metals, copper, copper alloys and aluminium. It is suitable for all types of boiler, radiator and pipework systems. Fernox Superconcentrate Central Heating Protector F1 is compatible with all metals and materials commonly used in central heating systems. 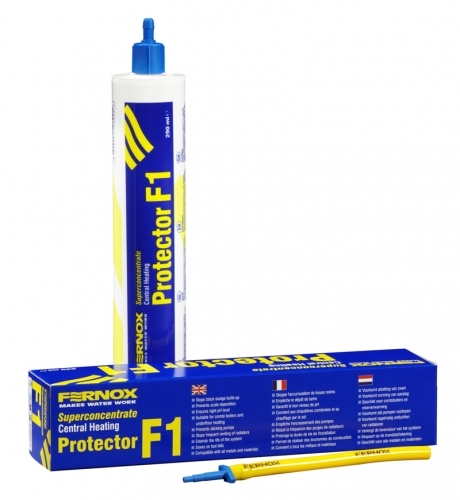 For continued long-term protection we recommend Protector F1 levels are checked regularly (annually). The concentration of the product can be easily measured on site using a Fernox Protector test kit.